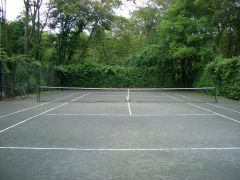 I've been a Tennis Instructor and Tennis Coach in Boston Massachusetts area for 20 years. Many of my students have been taking lessons continuously from me for many of those years. My students benefit most from the Progressive Teaching method where the strokes are broken down into a simple progression of easy-to-learn steps, with each new step introduced only when the student has assimilated the previous steps. 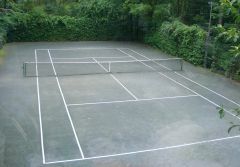 In my lessons, tennis students are initially taught the proper tennis grips, as well as the correct technique on the full variety of strokes including the forehand, backhand, service, and volleys. They are also taught the proper stances, court positions, and footwork. As the students progress, they are taught the proper way to impart topspin (forward ball rotation) and backspin (backward ball rotation) on the ball in order to enhance their consistency, direction, accuracy, depth, speed, and power. The overall objective of this method is to teach the students how to use their entire bodies to hit the ball instead of using just their arm alone. In this way, the students learn how to generate controlled power with the greatest of ease. The wonderful benefit of this highly effective approach is that it avoids overwhelming students, keeps them positive, success-oriented, motivated, and also delivers rapid improvement. 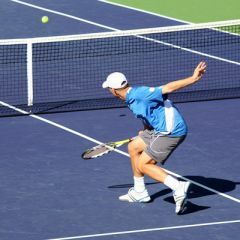 To learn why taking tennis lessons from a Certified Tennis Coach is so much more beneficial, please scroll upwards and click the page button on the left side entitled "The Benefits of Certification".